Made with real crushed stone the Ridgestone plaques feature a rich stone textured background with polished border. 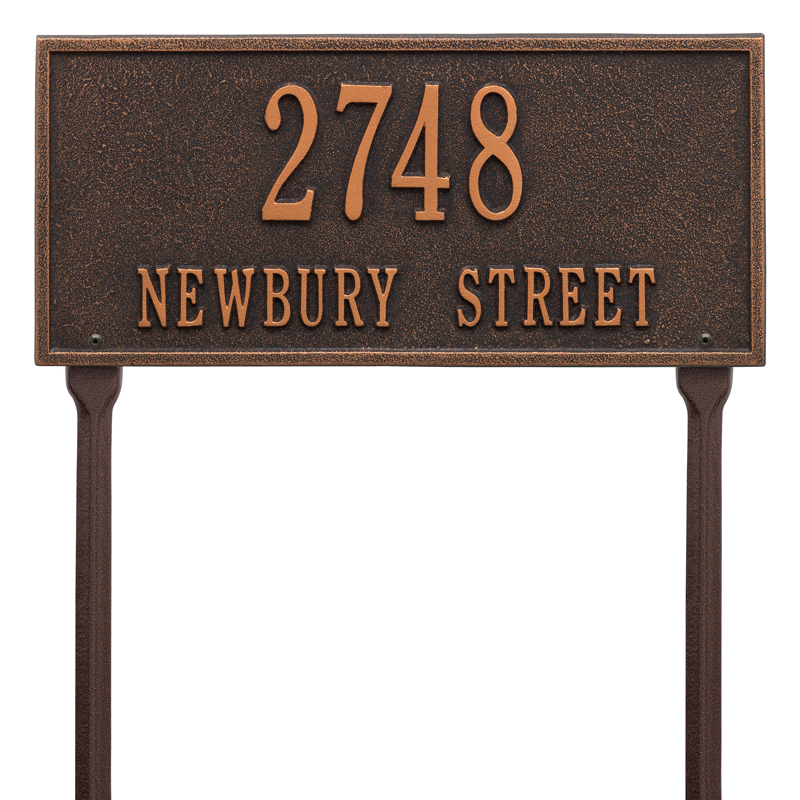 Uv and weather resistant, with color all throughout material. 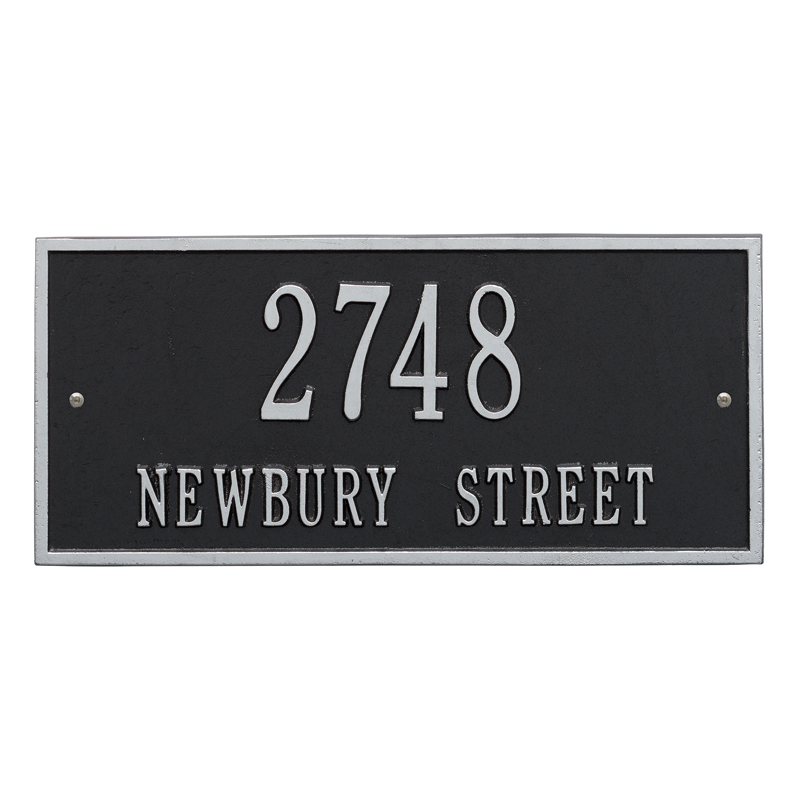 Plaques include large 4" raised polymer numbers 0-9 twice in the box along with a tube of adhesive glue, number template and mounting hardware. Product ships within 3-5 business days. 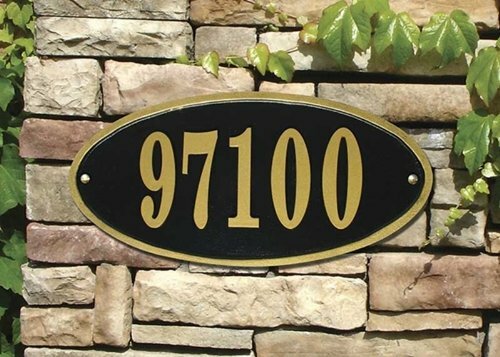 Dimensions: 13-1/2 x 7"
Powder coated aluminum address plaques have a gold border and can fit up to five 4" gold aluminum numbers. 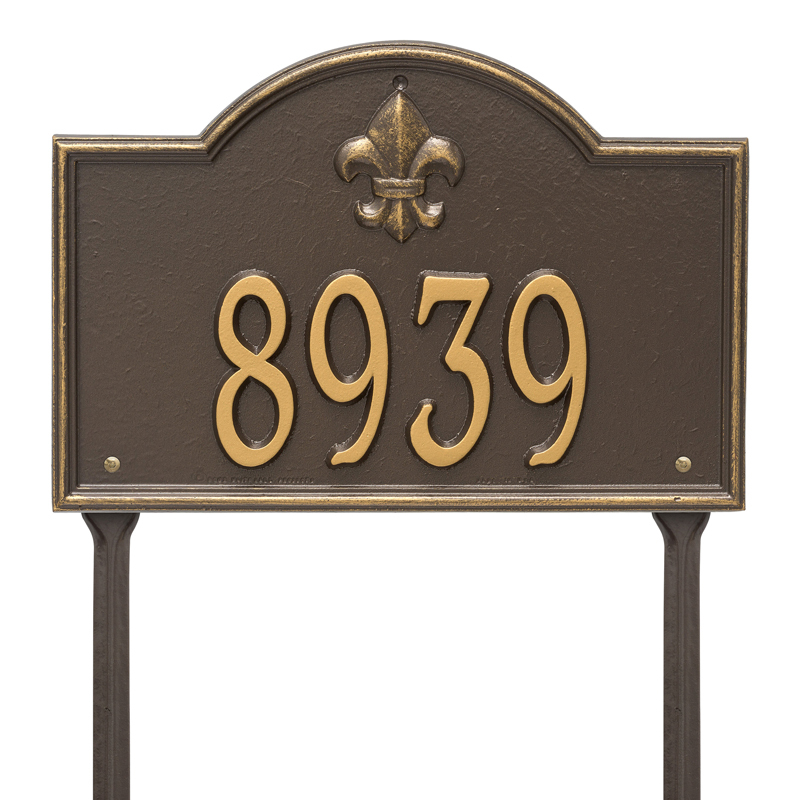 4" gold cast aluminum are numbers included. 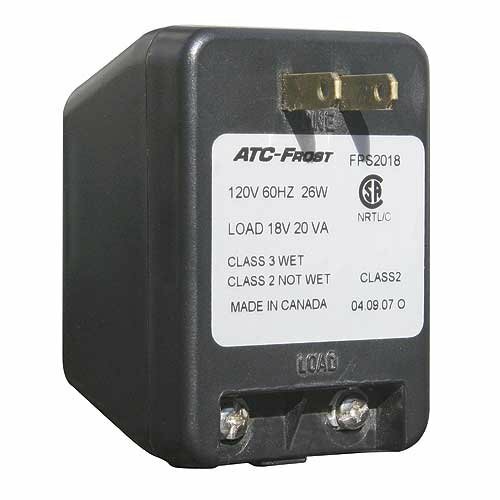 Usually ships within 5 business days. 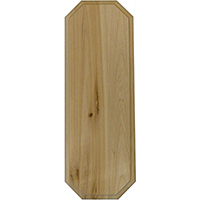 Dimensions: 15" x 7" x 0.5"
Please note this is a custom item and non returnable. 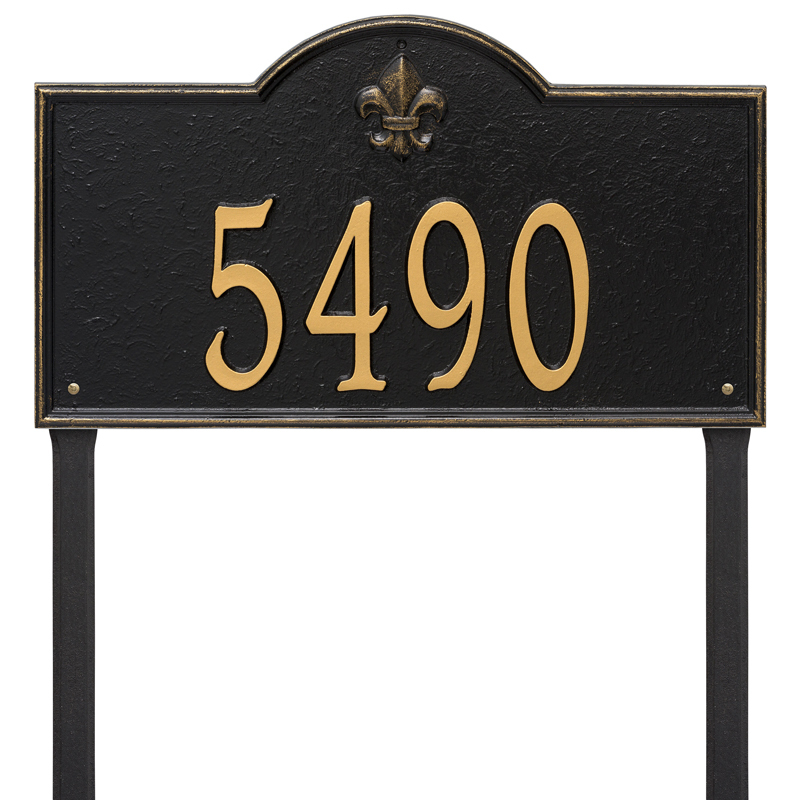 If this item requires customization (address and/or numbers) we will email you on what information we require for that. 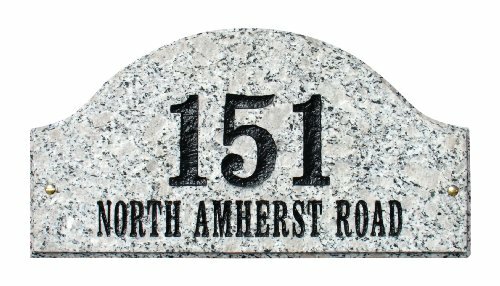 Made with real crushed stone the Ridgestone plaques feature a rich stone textured background with polished border. Uv and weather resistant, with color all throughout material. 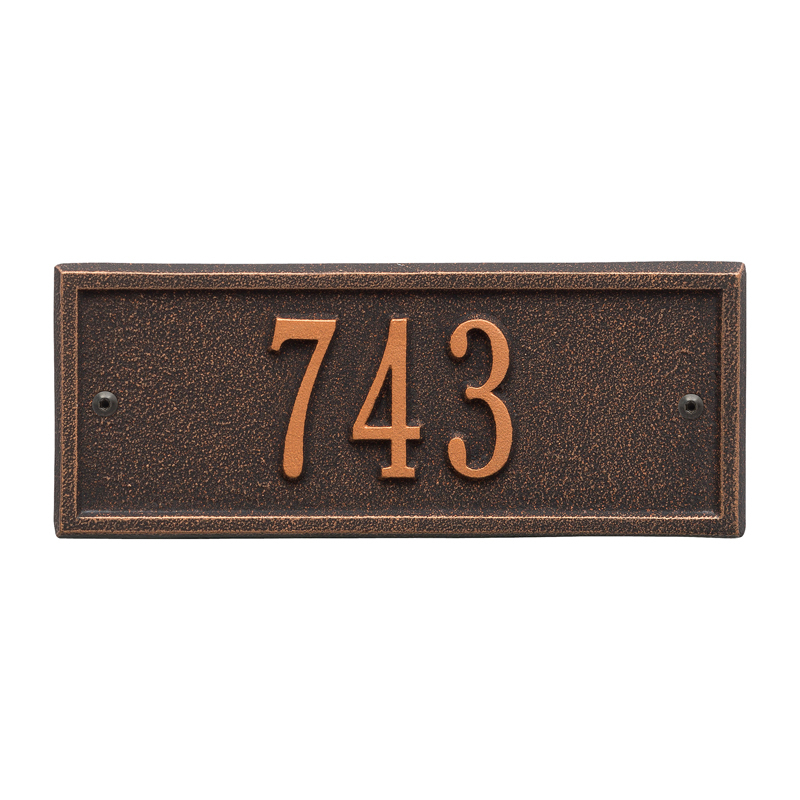 Plaques include large 4" raised polymer numbers 0-9 twice in the box along with a tube of adhesive glue, number template and mounting hardware. Product ships within 3-5 business days. 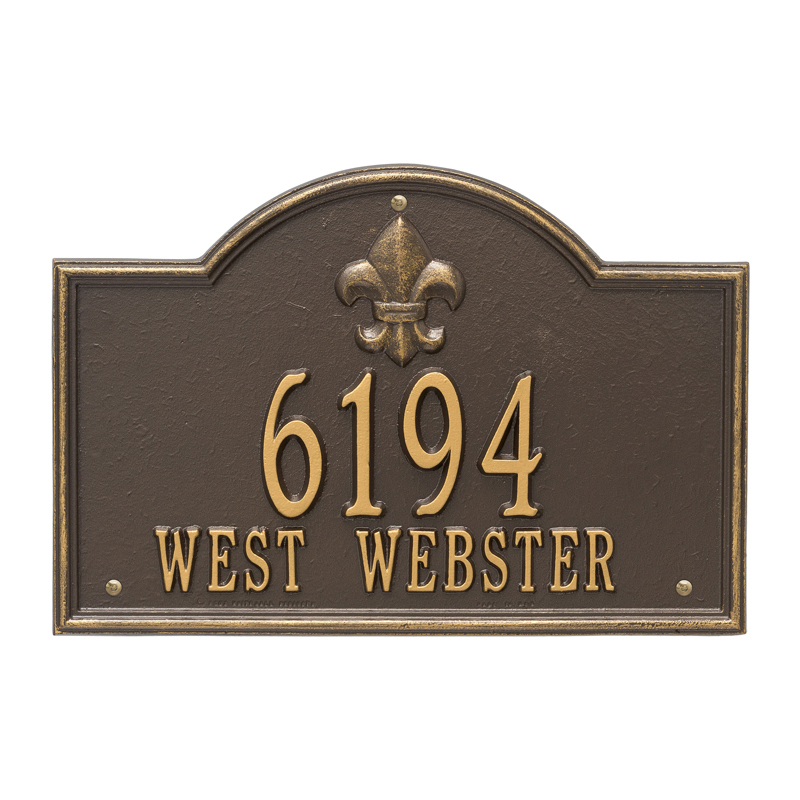 Dimensions: 13-1/4" x 7-1/8"
Wexford Vertical plaque can fit up to five "4" engraved numbers. Solid brass mounting screws included. 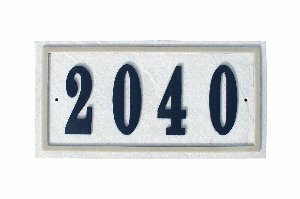 Please note this is a custom item and non returnable. 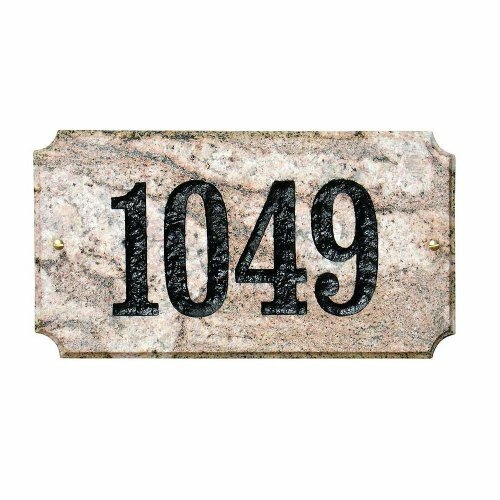 Product ships within 5-7 business days. 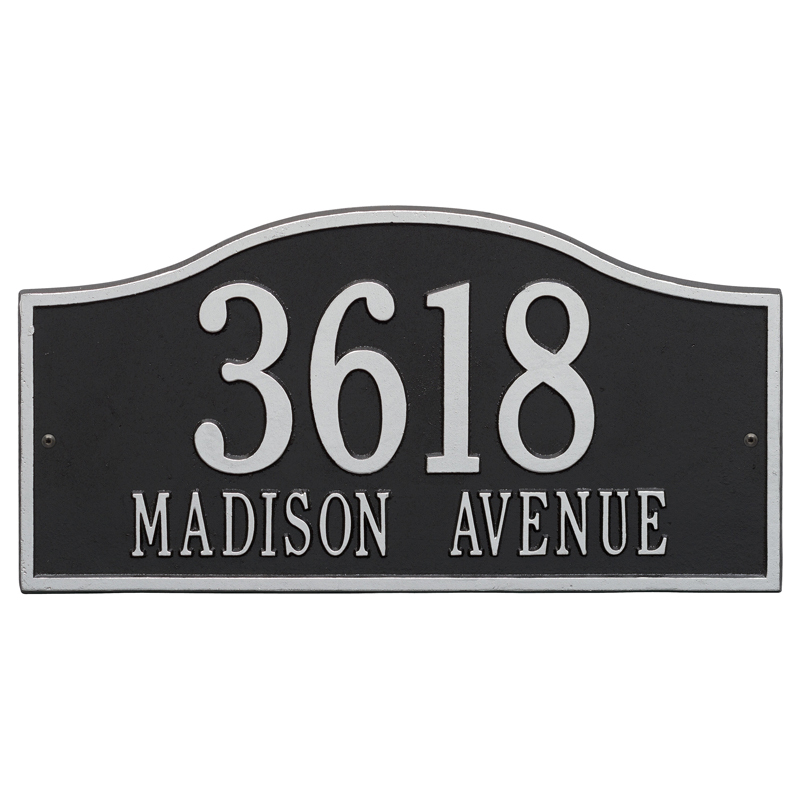 If this item requires customization (address and/or numbers) we will email you on what information we require for that. 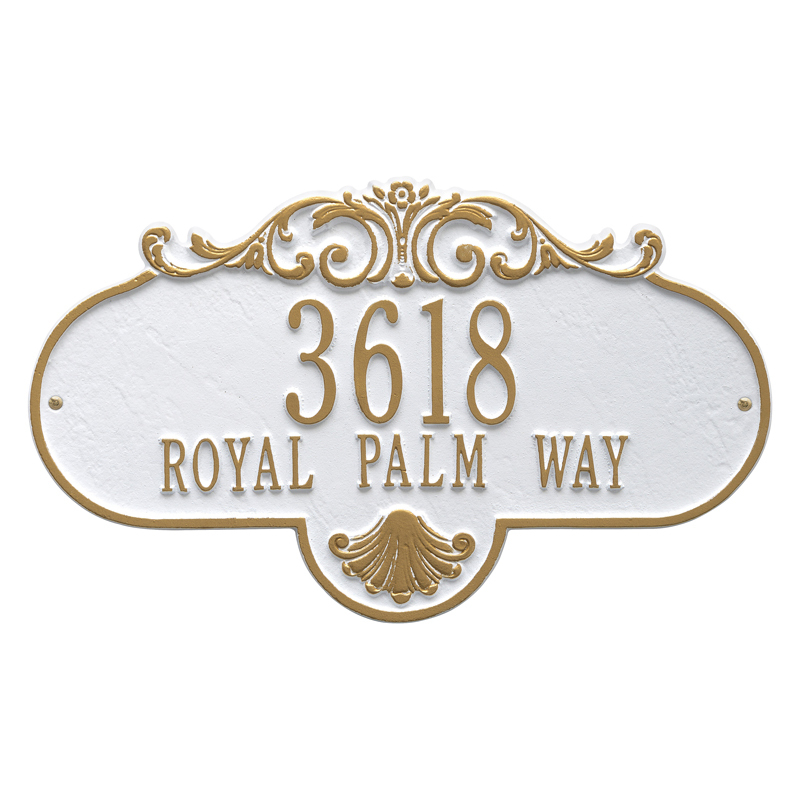 The Whitehall Products Rolling Hills Address Plaque is a simple yet classy way to display your address. 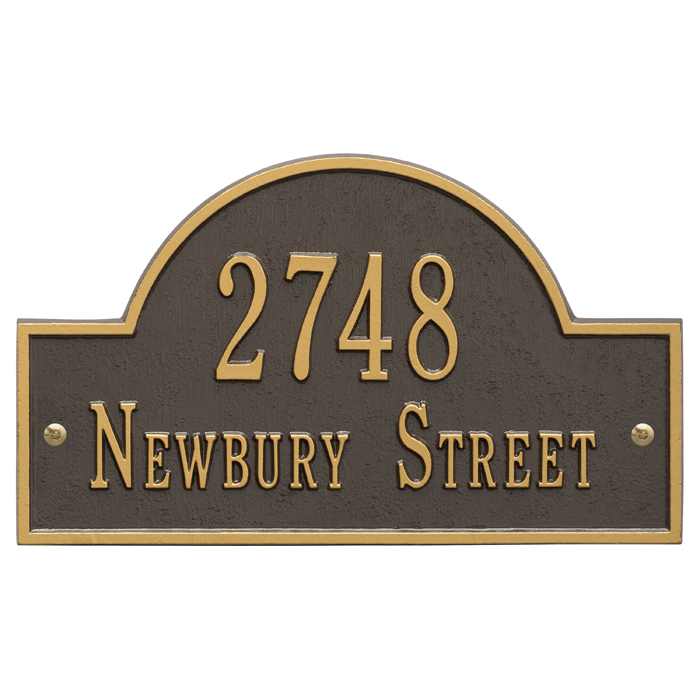 This plaque has a soft flowing arch shape perfectly complimenting any home decor. 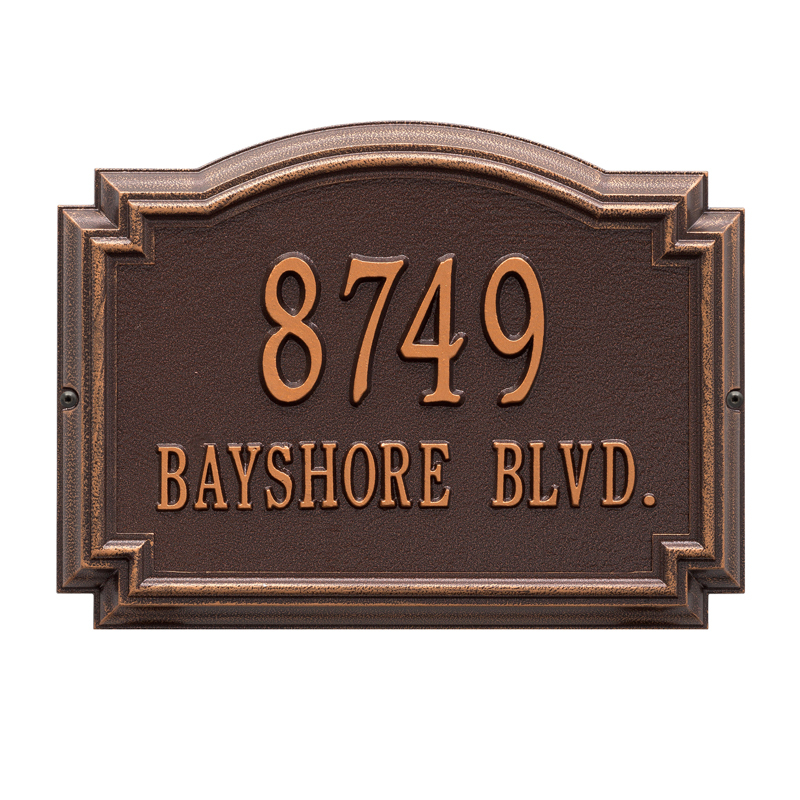 Dimensions: 14.5" x 9.875" x .3"
Dimensions: 17.5 " x 10.25"
Add a unique, distinctive finish to your+home while you welcome your guests with this Bless Our Home personalized plaque! 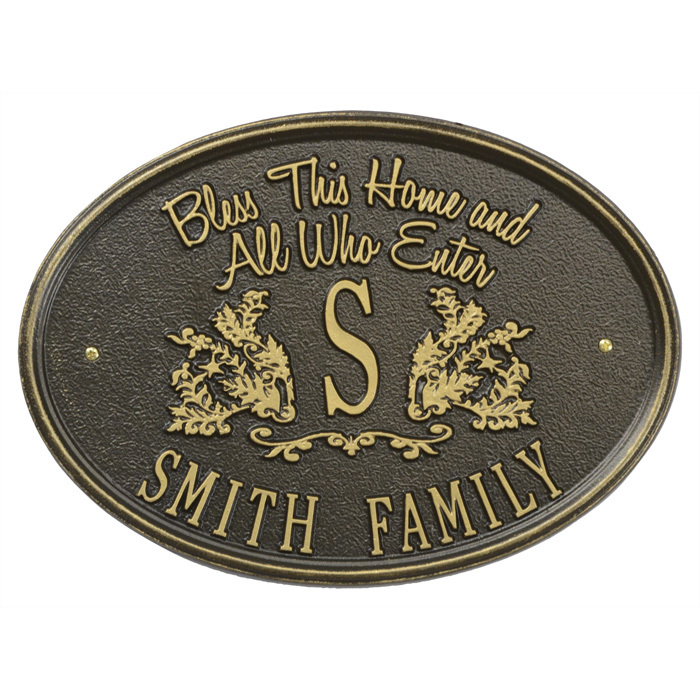 This personalized plaque features a blessing for family and friends. 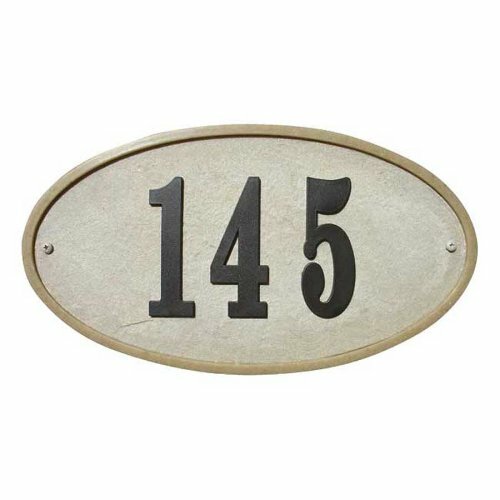 Standard text sizes are: Single line: 4" numbers or letters. 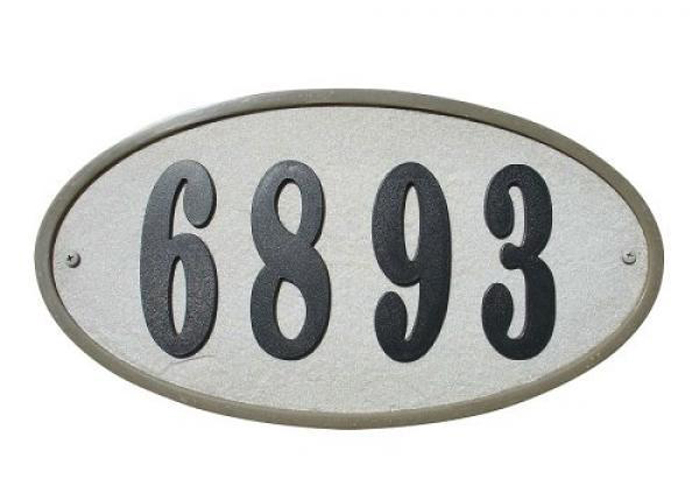 (Can fit up to five 4" numbers). 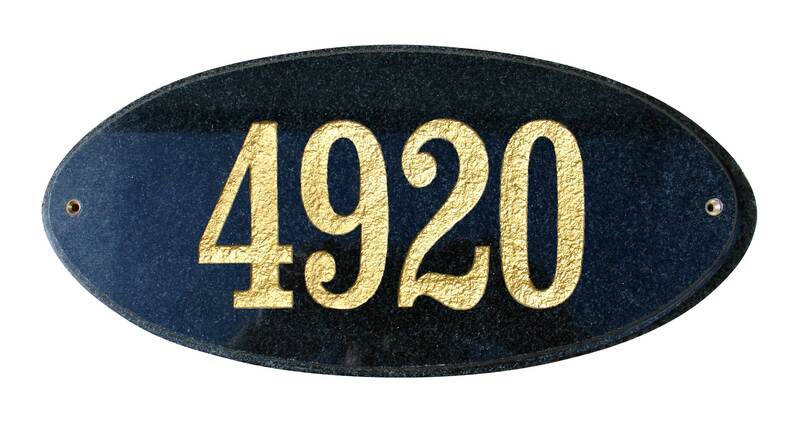 Double line: 3" numbers or letters on the first line, 1.25" numbers or letters on second line. 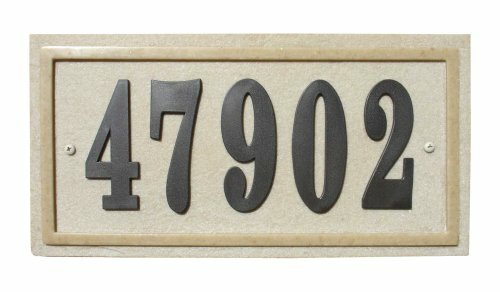 Third line: 3" numbers or letters on the first line, 1.25" numbers or letters on second and third line. 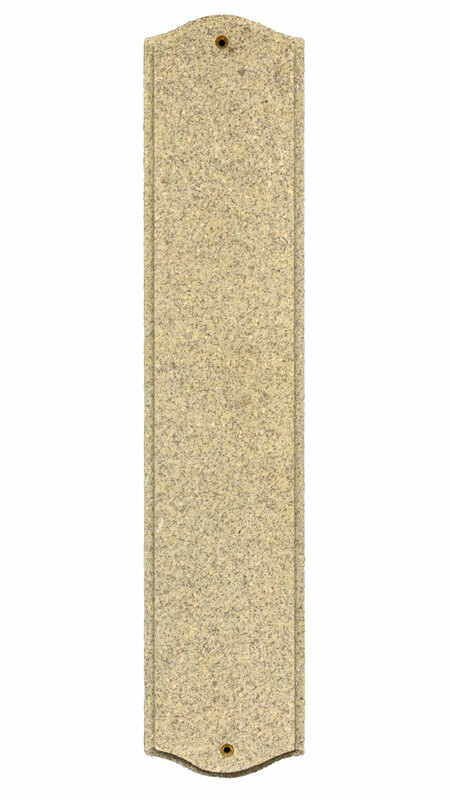 Dimensions: 14.5" x 26.85" x .3"